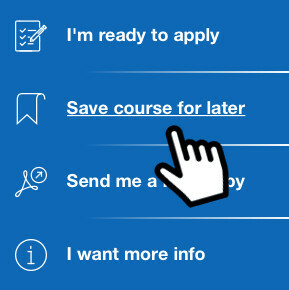 The part-time study option may be subject to QUT approval. Pursue supervised applied research on an approved creative industries-related topic. Develop expertise within Faculty research strength areas: Digital Media, Communication and Culture; Innovation in the Performing and Digital Arts; or Sustainability and Innovation in Design. Study full-time or part-time as either an internal or external student. Work with the Creative Industries Faculty, a leader in language, communication and cultural research. Creative Industries Faculty is a national leader in supporting the advancement of practice-led research. Study full-time as either an internal or external student. The PhD program demonstrates the Creative Industries Faculty’s reputation for innovation and excellence in research training, welcoming collaborative and interdisciplinary research projects and activity in the Creative Industries Precinct—Australia’s first site dedicated to experimentation and commercial development in the creative industries. Some of the world’s leading practitioners in the creative industries come here to teach, theorise, research, and create. Kelvin Grove Urban Village, La Boite Theatre Company, and exhibition spaces are located nearby, with the new $80m Creative Industries Precinct Stage 2 offering state-of-the-art sound recording, visual art and design studios. This world-class program provides a basis for critical inquiry to enable you to develop a significant and original contribution to disciplinary knowledge, producing bold and innovative concepts and practices. As a PhD candidate, your research must reveal high critical ability and powers of imagination and synthesis and may be demonstrated in the form of new knowledge or significant and original adaptation, application and interpretation of existing knowledge. Our goal in the Faculty is to produce confident graduates who have made an original contribution to knowledge and have the ability to independently conduct high quality, innovative research. As a higher degree research (HDR) student, you will be encouraged to be a self-directed, proactive and independent learner, who takes the main responsibility for the conduct and progress of your research, and demonstrate a high level of personal commitment, initiative and the desire to actively engage in ongoing professional development. While you will work and think independently, the Faculty will provide an environment that fosters a vibrant and innovative research culture, encouraging debate, discussion and theoretical and practical grounding in the latest innovative research methodologies. The main intake for PhD students is February and July each year, with completion of a PhD taking 3-4 years of full-time study. All students must complete a compulsory research methods unit, and are expected to actively engage with the CI/QUT research culture. Scholarships typically close in September each year and are highly competitive, with successful applicants requiring a first-class honours degree or equivalent. QUT adopts a project management approach, with higher degree research (HDR) candidates working closely with their supervisory team to meet collegially reviewed milestones. During candidature, the supervisor and other key stakeholders will provide advice and direction to the candidate to encourage their participation in a range of scholarly activities, including research seminars, workshops, teaching and publication. The length of the thesis varies according to the topic, but should normally be no longer than 100,000 words, excluding bibliography. Creative practitioners enjoy a strong commitment to practice-led research, in which the Creative Industries Faculty is a national leader. With QUT's real-world approach, QUT Creative Industries researchers develop expertise in a wide range of innovative research methodologies and make a significant contribution to new knowledge in their field. Our graduates are building prominent and successful careers around the world as architects, renowned designers, global artists, creative leaders, communicators and cultural experts – in academia, government, community and industry settings. The CRICOS registered course duration is four years however the course may be completed full-time in three to four years. Admission to the Doctor of Philosophy depends on an applicant’s demonstrated research aptitude and the availability of supervision, infrastructure and resources needed for the proposed research project. Once you've started your PhD, you'll need to complete your Stage 2 milestone to be fully admitted to your course. You'll usually complete this milestone within the first three months of study. For more information on eligibility, read the admission criteria for the Doctor of Philosophy (PDF, 98.5KB). If you're an Australian citizen or permanent visa holder, or a New Zealand citizen, your tuition fees are normally covered by the Australian Government Research Training Program (RTP) Fees Offset (Domestic), as long as you complete your degree within the program's set timeframes. You'll have to pay tuition fees if you exceed the time limits under the RTP. You may not have to pay anything upfront if you're eligible for a FEE-HELP loan. Become a researcher. Let us pay the bills. If you’re an outstanding graduate and aspiring researcher, apply during our annual scholarship round, closing 30 September. Competitive scholarships are available for PhD students. Work on exciting research projects in Digital media, communication and culture; Innovation in the performing and digital arts; or Sustainability and innovation in design.